Here at Koloa Jodo Mission, my favorite jade-color bowels are exactly “玉石混淆(Gyoku-seki Konkou)” or "thread and thrum"! 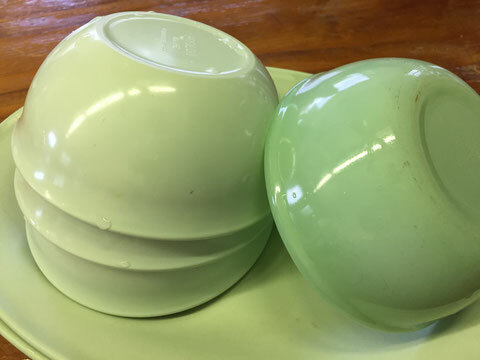 Plastic bowels are actually second-handed from Koloa Elementary School and they have been here for over 30 years! 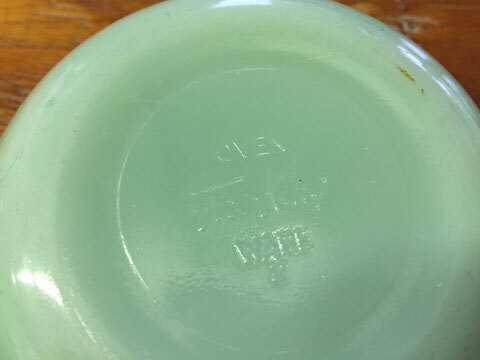 On the other hand, jade color glass bowel is…OMG….a popular antique ware of the “Fire King Ware!” which must be made before 1976! Good and bad, precious and common things are naturally here....and we are proud to keep using old junks and treasures together.